Whilst looking back over the films of 2011 nostalgia was the theme that was constantly focused upon. This ranged from directors being accused of attempting to recreate the films of the their youth as was the case with JJ Abrams’s Super 8 to Terrence Malick who brought us into a deeply personal recreation of his troubled childhood in the years’ best film The Tree Of Life. The best film relating to nostalgia was Woody Allen’s fantastically magical Midnight in Paris which explored the perils of looking back in time in the hope of keeping memories alive or longing for another time. 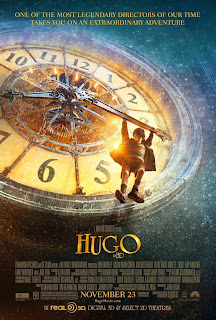 Hugo the latest film by master film maker Martin Scorsese is the adaption of the novel “The Invention of Hugo Cabret” by Brian Selznick which tells the story of a young orphan, Hugo Cabret (Asa Butterfield) who lives in the walls of a train station in 1930’s Paris. Hugo is responsible for making sure the clocks of the train station are kept in working order. From the crevices of the train station Hugo observes the many and varied characters who make up the inner workings of the station from shop keepers, security officers to bumbling lovers. Early in the film we learn how Hugo came to be working in the train station through a freak accident which claimed the life of his father and left Hugo in the care of his thieving alcoholic uncle Claude (Ray Winstone). The only possession left to Hugo by his father was a strange metallic doll the size of a young boy called an automaton. Hugo spends his days attempting to return the automaton to working order, this quest means Hugo is forced to steal parts from a toy shop within the train station which is owned and operated by Georges (Ben Kingsley). When Hugo is caught by Georges attempting to steal further materials we are introduced to Isabelle (Chloe Moretz) the granddaughter of Georges. As a result of this meeting Hugo and Isabelle set off on an adventure to unravel the mystery behind the automaton. This adventure takes us through the back passageways of the train station and the early days of visionary French film making alike. A tale of hope, friendship and what happens if we try to bury our passion. Martin Scorsese delivers are beautiful film which is dripping with style and charm. This is such a departure for Scorsese who is best known for his gritty gangster films such as Casio, Goodfellas and Taxi Driver. The strength of this film is the train station. Scorsese presents a fully realized world with well fleshed out characters, not the usual one dimensional stereotype that lesser directors fall for. The train station reminded me of Jean-Pierre Jeunet’s Amelie, as Scorsese gently introduces us to the train stations’ inhabitants as they either come into contact with Hugo or as he peers down upon them from his many vantage points. This results in character depth and substantial development throughout the film. Due to the 1930’s setting, Scorsese cleverly uses steam in almost every shot, be it from pipes or drains giving each scene a sense of richness, a technique often employed by Ridley and Tony Scott. I hate to say that this film is the reason I love cinema, but it proves yet again how powerful cinema can be. 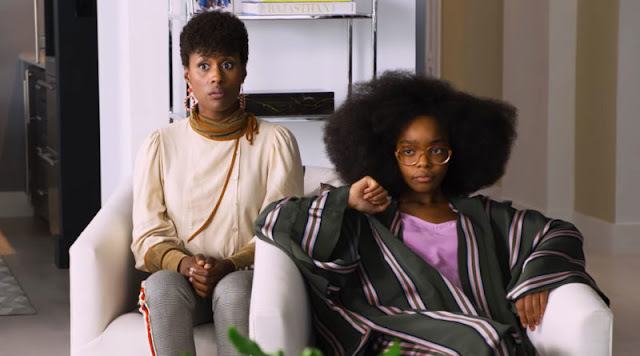 It’s rare that a film is able to sweep us up and take us along for the journey. I dare anyone to watch this film and not walk away with a blissful smile and heart filled with wonder.